The military is to relocate residents of Baga town in Borno State to allow room for the bombardment of Boko Haram hideouts. 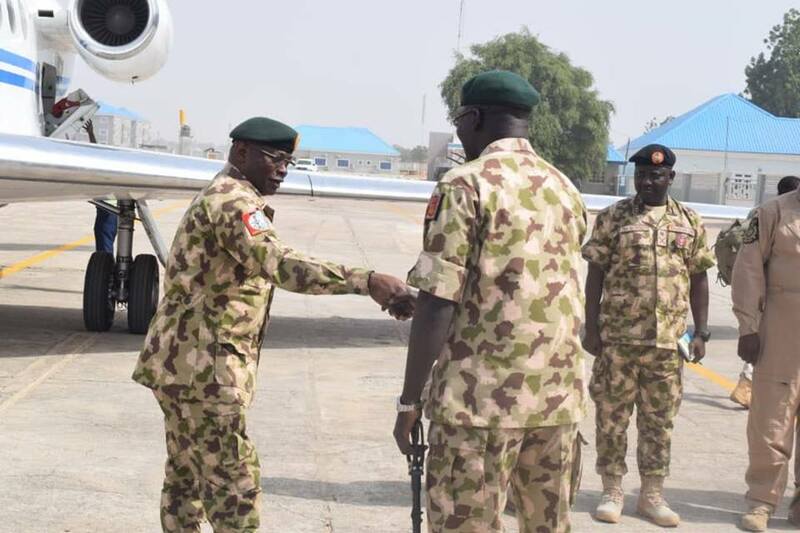 Baga, a community in northern Borno is hosting the headquarters of the Multi-National Joint Task Force combating the Boko Haram insurgents, was last week attacked by the terrorists. The military revealed the plan on Sunday in a statement signed by the Deputy Director Public Relations in charge of the counter-insurgency operations in the North-East, Operation Lafiya Dole, Col. Onyema Nwachukwu. The statement, however, said that there was no basis for the people of Bama, Dikwa and Monguno to vacate their respective communities as there was no immediate threat to them. It said, “It has been observed that some unscrupulous individuals with likely sinister motives within and outside Borno State are trying to create panic and unnecessary humanitarian problems for undisclosed reasons. The statement advised the inhabitants of the towns and the general public to discountenance such calls and remain calm. Statistics by the National Emergency Management Agency showed that 2, 046 displaced persons were profiled at IDPs camp in Maiduguri in the past few days due to insurgents’ attack in Baga.